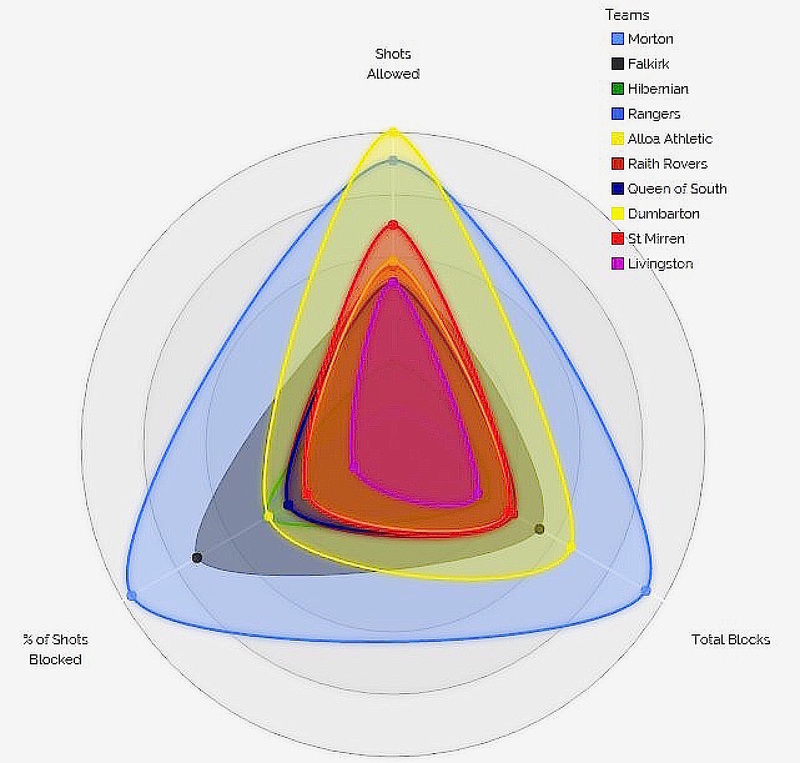 As a follow up to the post on shot blocks from yesterday, our resident graphical wizard Mike Driggs has created an interactive radar chart for you to geek out on while counting the minutes down until the weekend. Here is the link to the chart, where you can hover over each team to see their shots allowed, total blocks & percentage of shots blocked. It can give you a real sense of how teams measure up to each other. You can follow Mike Driggs on Twitter @RSCPDX & to experience even more higher definition, interactive versions of these graphs make sure to visit Mike’s website.